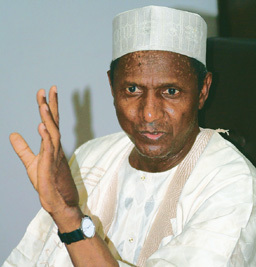 Will Obasanjo Explode President Yar’Adua’s Anti-Graft Balloon? If you were carrying out an employment exercise in your company, and one of the jobseekers showed up with a letter of recommendation duly written and signed by Mr. Nuhu Ribadu, the former Chair of the Economic And Financial Crimes Commission (EFCC), would that impress you? Well, the strength and credibility of any recommendation should flow from the performance of the person earlier recommended by the same person. For instance, Mr. Ribadu had told the nation that he had deployed the full force of his prodigious intellect, experience and thoroughness to carefully examine the eight-year nightmare prosecuted by Gen Olusegun Obasanjo but could not detect the slightest hint of corruption in all that the man did while in office! But, for the past few weeks now, Nigerians have witnessed with utter disbelief and deep pain horrifying details of the worst form of heartless plunder this nation had ever witnessed, perpetrated with utmost impunity and even fanfare, under the direct supervision of the same man Nuhu Ribadu had told us was above board. About $16 billion was callously squandered under the pretext of fixing the nation’s problematic power sector, plunging the country and its hapless citizens deeper into thicker and more suffocating darkness. As sordid revelations ooze from the House of Representatives Probe into the management of the power sector under the Obasanjo regime, where, for instance, it was revealed that a contract worth about N88 billion was verbally awarded, Nigerians are shocked that human beings with hearts and blood running in their veins are capable of such prehistoric greed and cruelty. While Nigerians groaned under the punishing effect of the protracted energy crises in the country, the very resources meant for the alleviation of their harrowing pain was being primitively plundered. Only last week, former Finance Minster, Ngozi Okonjo-Iweala, told the House Committee probing the mindless brigandage that flourished in the power sector that it was Mr. Imoke and Obasanjo that concocted the “Due Process Waiver” that enabled them bypass all statutory roadblocks to prosecute their unparalleled clean out of the public treasury to build phantom power plants. 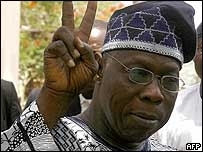 In 1999 when Obasanjo became president, total power generation within the national grid stood at 2,400 Mega Watts. But by the time he was leaving office in 2007 (and till date), the whole thing had come down to 2,100 MW, despite the billions of dollars said to have been poured into the obviously phantom efforts to give Nigerians stable power supply. To sensible Nigerians, that is hardly surprising. Among the companies awarded juicy contracts, and paid jumbo mobilisation fees, which in some cases were as high as 70 percent of the whole contract value, thirty-three (which got N6.2 billion contracts) were not registered at the Corporate Affairs Commission, which means that they were non-existent companies! Even when identifiable companies got contracts and were fully mobilized, several of them vanished into thin air or managed to show some form of presence at the project site. The only believable reason those in charge of the whole obscene profligacy had refused to bother themselves with whether those contracts were executed or not may be that, perhaps, those “companies” were either theirs or belonged to their cronies and agents. According to the Minster for Energy (Power), Mrs. Fatimah Ibrahim, $13.3 billion was squandered in the power sector, under very close, direct supervision of Imoke and Obasanjo with nothing on ground to show for the huge expenditure. Certainly, this is enough to put these fellows behind bars for the rest of their lives, if President Umar Musa Yar’Adua is serious about all the noise he makes about rule of law and due process. Well, how Yar’Adua responds to this challenge will help define the image of his administration in the days ahead. Last week, former Health Minister, Prof Adenike Grange, was sacked or forced to resign, or both, for refusing to heed the Presidential directive to return to the treasury the unspent fund from the allocation to her ministry. The amount involved is N300 million naira, which the Economic and Financial Crimes Commission (EFCC) accused her, her deputy, Gabriel Aduku, and 14 senior civil servants of the ministry of attempting to embezzle. Also starring in the slimy scandal is Obasanjo’s first daughter, Dr. Iyabo Obasanjo-Bello, who is the Chairman, Senate Committee on Health. 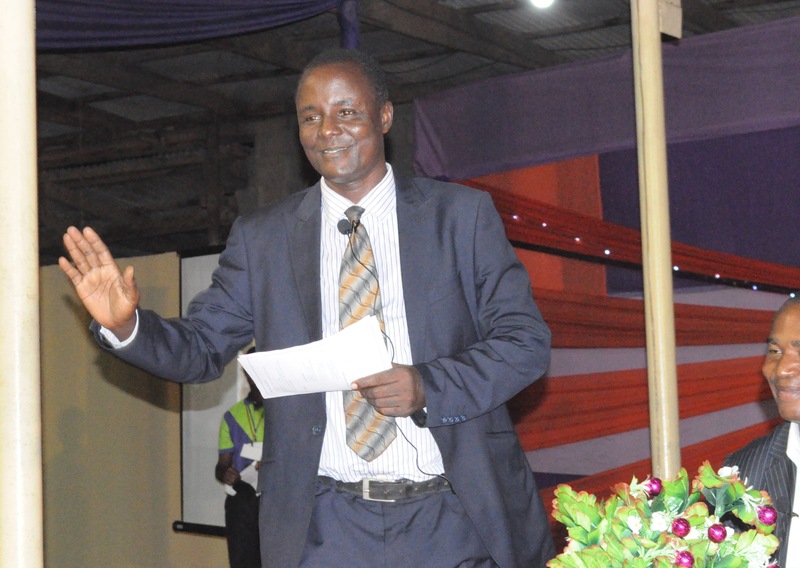 It may appear uncharitable to view Prof Grange’s sack or resignation, given its timing, as aimed at diverting significant attention from the earth-shaking revelations rolling out from the Public Hearing on the Power Sector which has provoked widespread demand for the immediate arrest and trial of Obasanjo and all those who had joined hands with him to enact the unprecedented corruption. But then, the whole thing reeks of just that! On Monday (March 31, 2008), General Jeremiah Useni, the unrepentant alter ego of the late ruthless dictator, Gen Sani Abacha, was quoted as saying that the boundless brigandage that flourished in the power sector has made whatever Abacha was accused of looting to appear like “a child’s play.” He even expressed doubt that the once famous Abacha Loot recovered from several sources were deployed to execute any venture that would benefit the Nigerian people, because, according to him, there was “no bill [that] went to the National Assembly to approve its expenditure.” In other words, Abacha’s may have been looted by those who recovered it! Also, on the same Monday, the papers reported that Prof Grange may be charged to court this week. Now, if we consider that what Grange and Co were accused of “attempting to embezzle” was mere “change” when compared with the $16 or $13 billion that was siphoned off thought phantom power projects, we will then begin to ask ourselves whether, under Yar’Adua, different rules apply to different people? Now, some ex-Governors are, justifiably, being dragged about by the EFCC for allegedly stealing N1 billion or N2 billion or even less. If these ex-Governors or Mrs. Grange and Co are found guilty, they should be hastened off to jail, to isolate them from the assembly decent beings, because they have proved themselves to be unrepentant enemies of Nigeria. But should the alleged bigger thieves be spared? Nigerians and the rest of world are watching to see what President Yar’Adua would do with the fellows who awarded N88 billion contract by mere word of mouth. They would want to know what would be done to the man who gave out juicy contracts to 33 non-existent companies, and commissioned empty lands as power plants, to cover up the squandered fund. 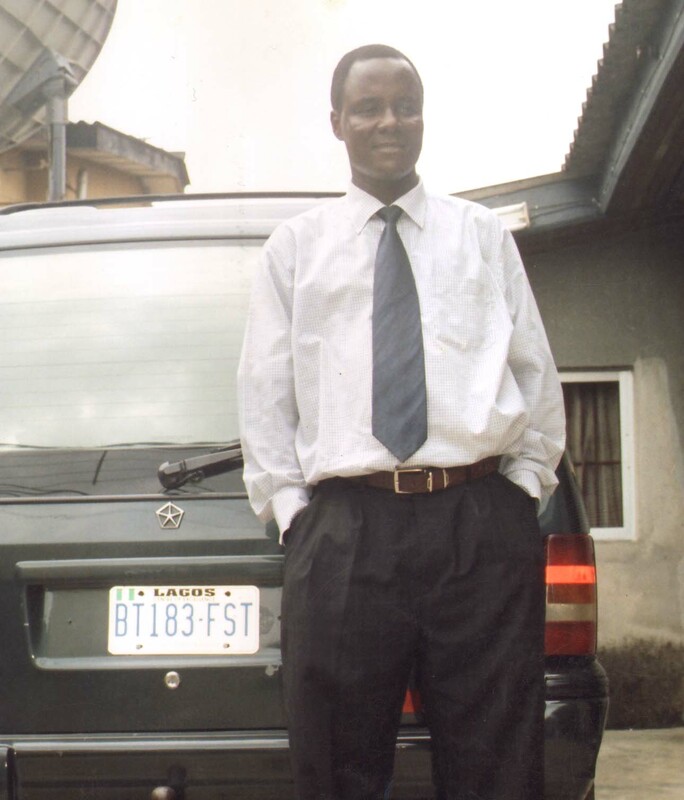 Yes, they would want to know whether the fellow who had bled his country pale to become one of the richest billionaires in Africa is, in the thinking of Yar’Adua, above the laws of the land, and deserves to be celebrated, while the poor clerk somewhere who was driven by hunger to mismanage N5, 000 is sent to jail. It must be clear to Yar’Adua that injustice and double standards, especially of this magnitude, can only create fertile grounds for defiance, rebellion and anarchy. Already, a former Governor standing trial for corrupt enrichment is threatening to make the country ungovernable if big thieves are left to move about undisturbed while mere pickpockets are haunted and harassed with extreme zeal. Yar’Adua must be wary of allowing seeds of destabilisation germinate in the country just because of his determination not to “embarrass” some fellows whose only contribution to their fatherland is the ruin and stagnation they had brought to it by their conscious unethical acts. 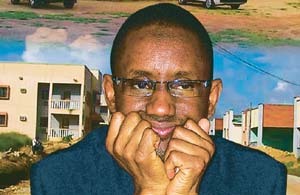 By the way, where was Saint Ribadu when the nation was being gang-raped with such unparalleled violence? To what extent did the National Assembly under Ken Nnamani and his brother Aminu Bello Masari exercise its oversight functions when this insane plundering was flourishing? Well, former Vice-President, Atiku Abubakar can gloat today, but would this brazen prodigality have been exposed if Obasanjo had not parted ways with, and handed over to him as he had expected? Now, we have seen the stench in the power sector, but when will the long-awaited probe of the NNPC commence? Well, I like your article not because of your choice of words but your precision, and the very truth about the way corruption is being legalized in Nigeria. I smile each time I hear about EFCC,we are not kids again,hardly can u tell a kid of this generation not to go out at night,that “OWIWI”will take away his or her soul, I can bet it with you,this generation want to see the mad man that clothe his or her face to scare the enlightened generation,nice one,2 thumbs up for you.Tragic,Nigeria situation.